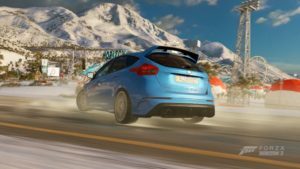 Is Forza Horizon going in the right direction? 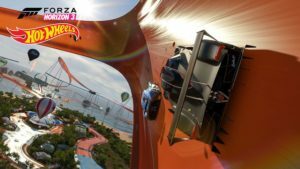 Turn10 have recently pulled the sheets off their latest masterpiece, the ForzaHorizon 3 Hotwheels expansion. 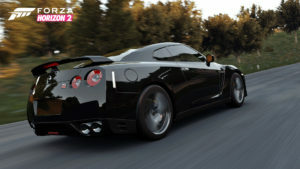 There’s a bit of a debate going on about what it adds to the Forza mix and if it makes Forza any less like, well, Forza. 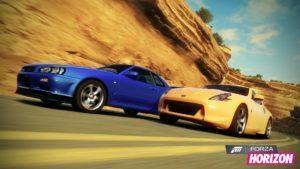 So first, we should look back at the original Forza Horizon and see what that all meant. The original Horizon. Hype and questions surround it’s reveal. People were confused why a track racing series would voyage to an open world adventure. People were skeptical as well, with many criticizing it’s lack of cars and many, many worldly barriers. Upon release, they’d be proven wrong with one of the greatest racing games of all time, one that even it’s maker’s couldn’t replicate. This game stood for one thing and that was fun. Fun cars, rewarding roads,and most of all, a fun, engaging story that kept you coming back for more races. Also, featured in this game, the original, and in my opinion, the best barn finds in Forza history. The big, expensive, (Included in the season pass), expansion for this game was the rally expansion. It really brought a whole new element into the game, actual, near simulation level, rallycross. It was fun too, really fun, but, in my opinion, a bit too professional for me. A second, also really good game. This time, we got a bigger, more open map, way more cars, and way more things to do. It felt a little rushed, at least when I played it, but overall, progression was good… Well… apart from one of the first cars you get being a mid engined Ferrari. Again, the theme of the game is to work your way up, but unlike the last one, there’s not many set challengers for you to face. Every race feels like the last and it can get kind of repetitive. But that’s where the other things come in. There’s just so much you can do in the game, it’s almost overwhelming! Then there was storm island! A less serious, crazy, insane, take on offroad racing. It didn’t bring much new to the table aside from cars, some new race events, and, the big one, a whole new island to explore. So why isn’t this as good as the first one? As I said before, the races got repetitive as you don’t really have a goal to aim for but, if you’ve got the cash, I totally recommend this! The community asked, turn10 gave. Simply put it, people asked for “tighter roads” and “more evolation changes”, so what we got was a mountain. A big, snowy mountain with some really good progression. It brought back fond memories of Forza Horizon 1 and, atleast to me, seemed like a whole new game… But then again, I did pay 5 bucks for this and the season pass so hey, I gave em 70 bucks (make that 90 with the new expansion). Honestly this was all kinds of fun, especially blasting through the town or flying down the mountain. SO what do i think about the HOT WHEELS expansion? Fun. 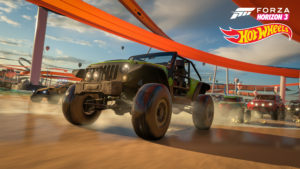 If you haven’t gotten it yet, fun is what makes Forza Horizon, Forza Horizon. Forza Horizon is really just Forza motor sport in a bouncy-castle. 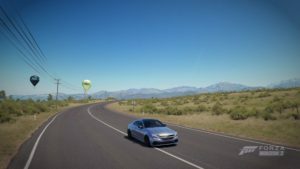 Fh3, eh, it had the fun factor but that quickly dwindled. This though, this looks like it brings it back! It’s literally driving cars on a giant hot wheels track! How fun is that! Huge jumps, boost pads (yes), and friggen loop the loops. What more could you ask for to be fun? It’s still going to have the rewarding, drift happy physics and hey, those 1500 hp V12s will come in handy. Oh I cannot wait for this. It seems oh so fun! Anyways, now that I told you why I think it’s going to be fun in a blog post, why do you like it or dislike it? Just like butts, everyone’s got opinions. The reason why autos are so popular and why they became popular.